Welcome to Fife : Instagram your way through Fife! Instagram your way through Fife! We love when you tag us in your images on Instagram so we thought we'd share some locations for you to help plan your own Instagram trip to Fife. Fast becoming a very popular site to visit, this wierd rock formation sits to the North-West of the Lomond Hills near Gateside. Find out how to get there on our blog here. Take your pick! We’ve got plenty AAANNNNND they're all very beautiful of course. Elie Ness Lighthouse is a popular location which we're often tagged in. This beautiful lighthouse was first lit on 1st October 1908. Engineer to the Commissioners of Northern Lighthouses at the time of building was David A Stevenson who is grandson of Robert Stevenson, of Bell Rock Lighthouse fame, and a cousin of Robert Louis Stevenson. The light flashes every 6 seconds..as it has done since 1908. Looking to gram a World Heritage Site?! No problem, we've got you! There's so many different angles you can capture of the Forth Bridge combined with lots of different coloured skies. Who doesn't love a Highland Coo?! And Balgove Larder have their very own cool dudes. Have you been to meet them?! We take great pride in our stunning beaches in Fife. Why not visit one of them and catch some stunning colours at sunrise or sunset like this post below! Wow! You might find him in the Royal Burgh of Culross. Okay, you probably won't but Sam Heughan & co spent a fair bit of time filming Outlander here. Walk in the footsteps of Jamie & Claire....literally. We've got some really cool castles! Ravenscraig Castle is an absolute gem. James II acquired the lands of Ravenscraig Castle in 1460. Work immediately began on construction of a residence for his wife, Queen Mary of Gueldres. Thanks to its massive, 3.5m-thick frontal wall and many gun holes, Ravenscraig is sometimes considered more an artillery fort than castle, though its overtly martial appearance is the result of many modifications rather than a single plan. It may have been built to help defend the Firth of Forth from English invasion! On the northern coastline, you can capture some stunning sights over the Tay. Beautiful :) It's the longest river in Scotland and the seventh-longest​ in the United Kingdom! 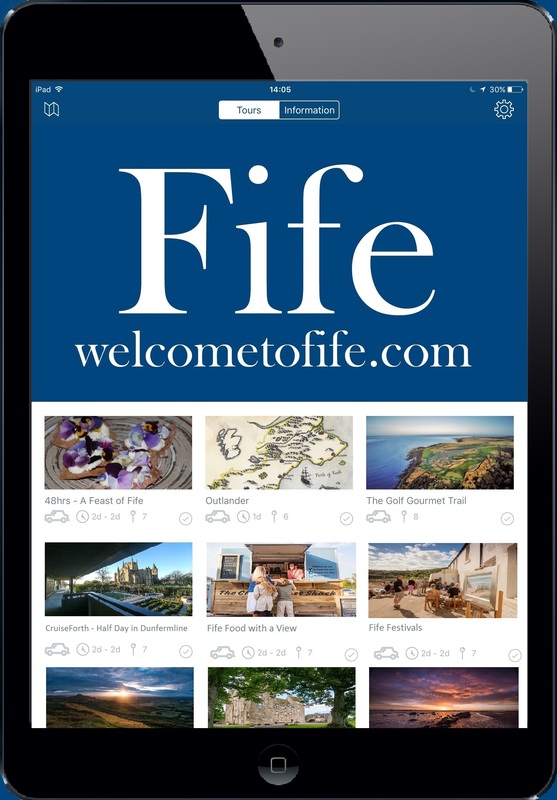 Make sure you follow us on Instagram @welcometofife and use our hashtag #loveFife or tag us in your image! We'd love to see where your favourite spots are!